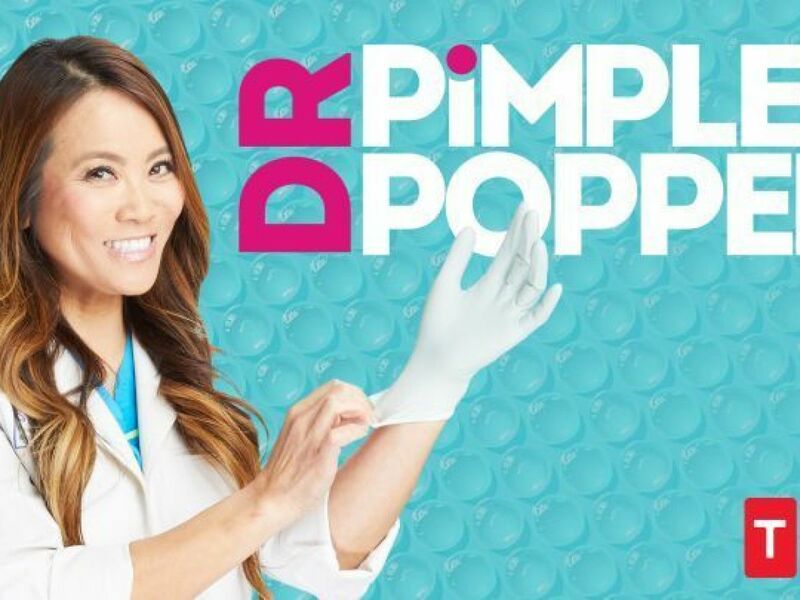 Every week on Dr. Pimple Popper , dermatologist Sandra Lee, MD, meets with men and women suffering from rare, often confidence-crushing skin conditions. The boils they carry are massive. The cysts are bubbling up to balloon-sized. But it’s the people underneath the incredible lumps and growths that make the show worth watching. Just cover your eyes through the pus-filled eruptions, if you must. Dr. Sandra Lee has seen it all: hundreds of lumps and squishy tumors growing on every nook and crevice of the human body. But in episode eight of season two, she faces two shoulder growths so rare, even the pimple-popping pro herself can’t fathom how to treat them — and that’s just one of the problems she faces this week. From Art’s cyclops bump and Barb’s heart-shaped hump to Hilda’s wart-like bubbles, read on to find out how Dr. Lee handles each patient and their curious conditions… and the one that really stumps her. In surgery, Dr. Lee proceeds with a tumescent anesthesia numbing procedure — something we haven’t seen before — which actually lifts the lipoma up and away from the muscles and nerves below it, almost like a big balloon in Barb’s back. The reason Dr. Lee wants to use this technique is to make sure she can access the lipoma safely, while avoiding Barb’s spinal cord and the nerves running down her back. Slicing into the raised mass, Dr. Lee is met with yellow gunk popping out of Barb’s back. After a little wrestling, Dr. Lee excises the entire lump, and Barb gets to walk out with a flat back — her body transformation finally complete. When Bob shows his back bumps to Dr. Lee, she’s a little concerned with the way they feel — hard, not soft. “I don’t really like to feel hardness in lumps,” she says. “It looks like they’re growing on the scapula, almost under the shoulder blade bone. I don’t know what this is, or if it’s connected to a muscle or a bone.” Because Dr. Lee doesn’t know exactly what’s going on with Bob’s back, she sends him for a CT scan to get a better idea of how to treat these mystery lumps. At her in-office consult, Hilda meets Dr. Lee, explaining her condition and the past surgeries she’s had to try and remove her eye bumpiness. Dr. Lee knows right away that Hilda is suffering from a bad case of hidrocystomas, which are water-filled cysts that typically occur around the eye. Unfortunately, Dr. Lee warns Hilda that even if she can pop the bubbles, there’s no guarantee that the bumps won’t come back. So, with the knowledge that it may be a short-term fix, the two women head into surgery. Dr. Lee starts deflating the puffy bumps, and milky liquid spills out of each one with a single poke. It’s a little scary to watch because Dr. Lee is working right around the delicate eye area with very sharp tools, but after flattening the water-filled growths, Hilda’s eyes look so much better, and she’s ready to get back to a life where she can confidently look people in the eye. Dr. Lee immediately calms Art’s nerves at the consultation. “This lump isn’t too concerning, but I can tell that Art’s nervous, so I have to be extra careful to make him feel comfortable,” Dr. Lee says. In surgery, she cuts into Art’s forehead, and squeezes out a stream of white, mushy, mashed potato-like gunk from Art’s head quickly and easily. After Dr. Lee stitches Art’s forehead, he walks out of the office, free of his cyclops horn, and admittedly still uncomfortable around doctors — but not Dr. Lee. Before we end, we check in on Bob, who returns to Dr. Lee to find out what’s going on with his hard back bumps. Dr. Lee tells Bob that it’s a good thing they performed the CT scan, because it showed the lumps are not lipomas or cysts, but a rare condition called elastofibroma dorsi. Unfortunately, Dr. Lee explains that this is not a dermatological condition within her scope — meaning she has to refer Bob to a musculoskeletal specialist to handle the removal of the bumps. Still, Bob got the news he was ultimately hoping for: some answers. That ends episode eight, we’ll be back next week to see Dr. Lee handle a new cast of patients with mind-boggling skin issues. Danny Masterson Is Shocked That Scientology Can’t Save Him!